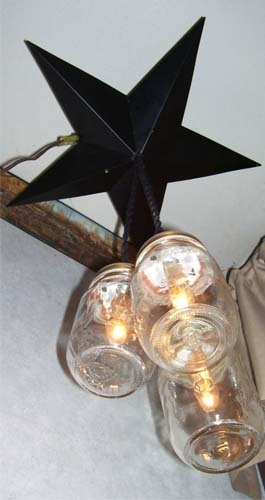 As with all of our mason jar crafts, our mason jar hanging lights are designed and crafted by hand with the primitive collector or designer in mind. 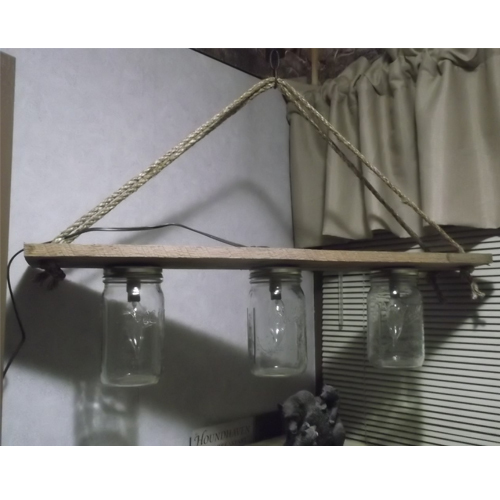 Made with quart-sized and half-gallon mason jars with 40 watt bulbs (included), these hanging mason jar lights will add a nice touch to your den, great room or even a country kitchen, or use them in the hallways of a log home. 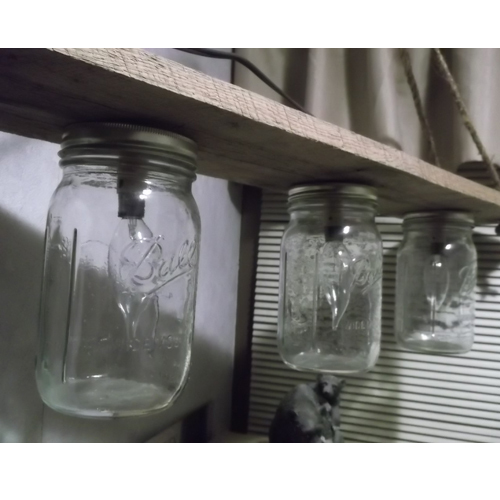 Three quart-size mason jars. Adjustable length with chain. Bulbs included. Can come already hard-wired or ready to plug in. 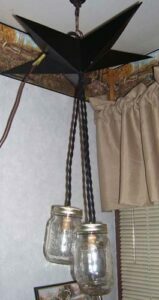 Your choice of three or four mason jars suspended using cloth-twisted cord to give it that old school farm house/rustic/primitive look. 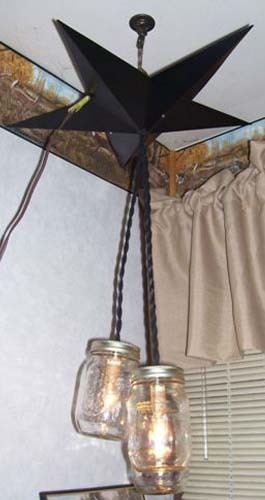 The longest light reaches about 20″ from the ceiling while the shortest light reaches about 14″ from the ceiling. The cords can easily be pulled higher to accommodate lower ceiling heights. 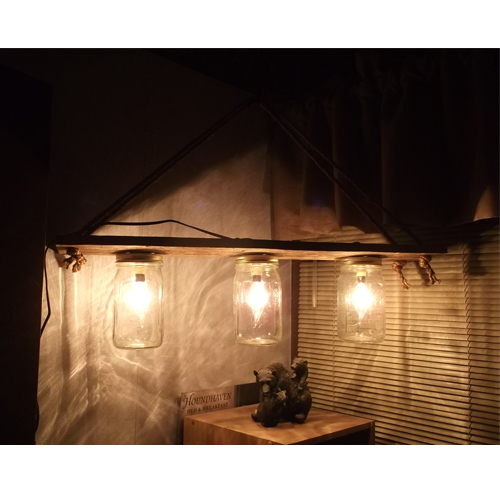 The bulb sockets are black candelabra and can support up to 60 Watt bulbs but we recommend using 25 Watt bulbs or 40 Watt bulbs. This light weighs about 5 lbs. 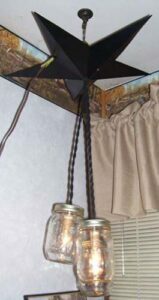 and will mount into any existing ceiling electrical box. We recommend having the light installed by an electrician. Can also be hooked up to use a cord as seen in the images below.